Plateway and Shropshire Canal, Blists Hill, Ironbridge Gorge Museum, 13 December 2012. A 1989 replica of a 3ft gauge loco built by Trevithick in 1802 for the Coalbrookdale Iron Comapny operates on this plateway during the season. It was dismantled at the time of my visit. 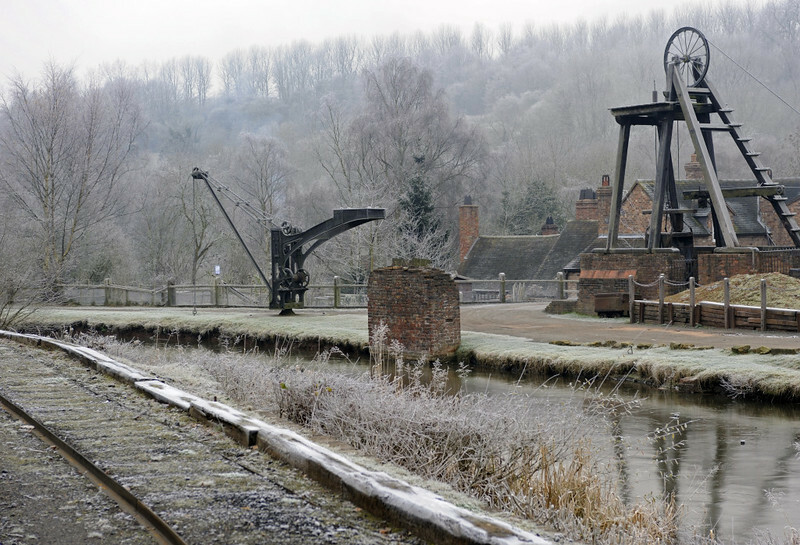 The canal was frozen; only a small section survives at Blists Hill.